I’m fascinated by animals, I always have been. I think Safari Cards might have had something to do with it. It might have been all those Tarzan movies, or the stacks of Zoo Books, or trips to the Detroit Zoo. As I’ve grown up my animal interests have gravitated to the stranger. Monitor lizards, hammerhead sharks, Tasmanian devils, and Tsavo lions are just some of my favorite things. Because of my passion for animals that don’t fall into the traditionally cute category I’ve really come to admire zoologist Lucy Cooke. 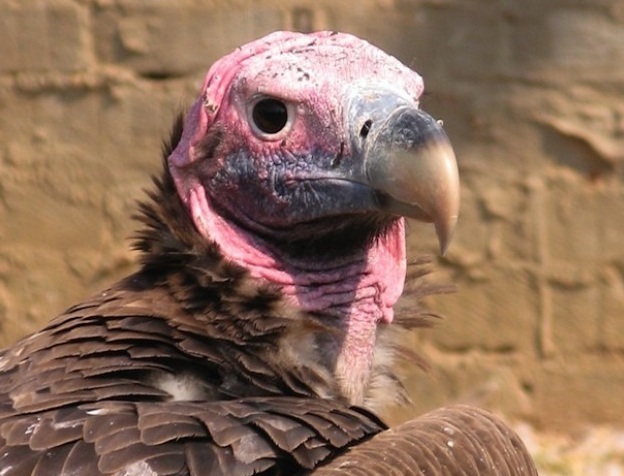 Cooke recently wrote about a disturbing trend in South Africa involving vulture brains. There is a belief that if you take a vulture’s brain, dry it out, mix it with mud, and smoke it you will receive a vision. It’s a pretty specific vision too, because the people smoking it are trying to get winning lottery numbers. In case the lunacy of this hasn’t fully sunk in yet, let me say it again. People are smoking vulture brains because they think it will help them win the lottery. The way people are harvesting vultures is especially harmful. One “hunter” will put out a poisoned cow carcass; this will attract vultures from all over. This method can harvest hundreds of birds at once. No population can continue with losses like that. Seven of the nine South African vulture species are now endangered. Despite their appearance vultures play a vital role in their eco-system. Living in Florida I’ve seen firsthand how efficient our own Turkey Vultures are at removing carrion. Check out Lucy’s page over at takepart.com by clicking HERE and seeing how you can help.